Hotline Metrics: Are You Missing Any? 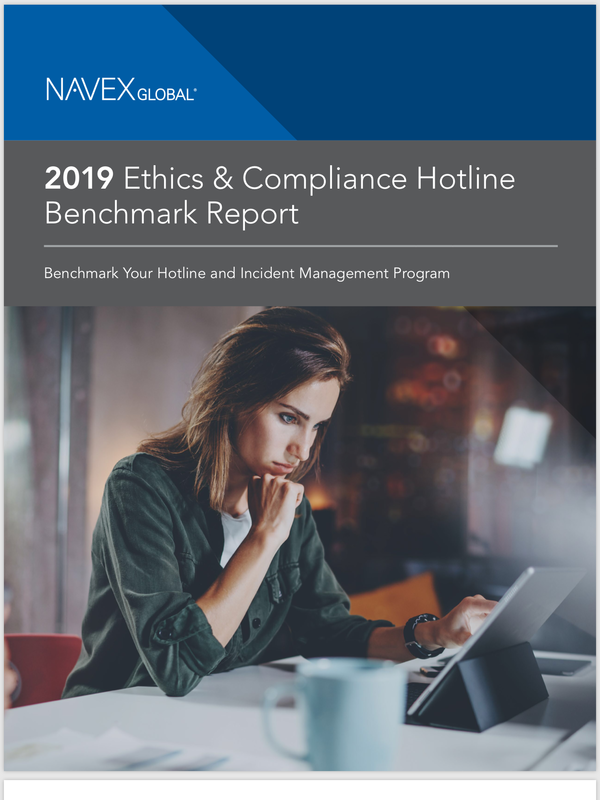 NAVEX Global released its 2019 Ethics & Compliance Hotline Benchmark Report this week, and raised an important point for corporate compliance officers to ponder: are you using all the right intake channels to capture a true sense of misconduct and corporate culture at your organization? At least, that’s the question that jumps to my mind, because the Navex report shows a clear divergence between firms that only track reports arriving via the hotline or anonymous web submissions; and companies that also track reports arriving via talking with managers, email, or other submissions. The first group had a median of 1.1 reports per 100 employees. The latter group had a median of 2.1 reports. 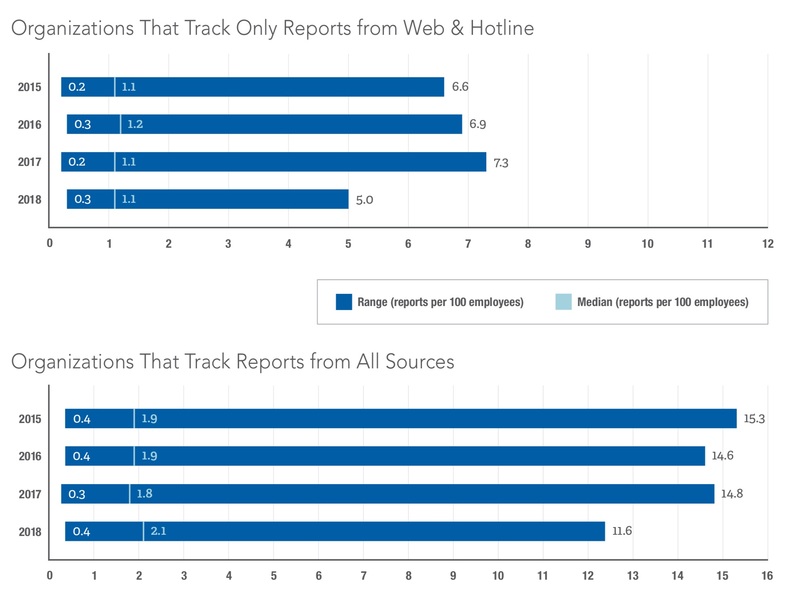 At first glance, that divergence might seem self-explanatory: you’re tracking reports across more possible channels, so why wouldn’t a firm expect to get more reports? That misses the broader point, which is this: there’s raw material about corporate culture and potential misconduct in that “Other” channel. If the compliance program isn’t trying to capture it, then you’re missing the full picture of what’s happening in your organization. That is, if your organization simply establishes a whistleblower hotline and tracks reports through that channel — congratulations, you’re in compliance with the law. But if your organization truly wants to study its corporate culture and find ways to drive higher ethical standards, you’ll need to move beyond those required channels. You’ll need to capture those reports that get mentioned in emails, staff meetings, performance reviews, and other settings. That’s not some lofty ideal to be dismissed here in the practical world, either. First, let’s remember that regulators, shareholders, consumers, and other stakeholders in your organization want to see companies achieve higher ethical standards and stronger corporate culture. If you only have a whistleblower hotline and someone reports an overseas bribery scheme, and subsequent investigation discovers that everyone in the division knew about the scheme for years but never cared — that won’t sit well with Justice Department regulators asking about corporate culture and tone at the top. We could say the same for consumers disgusted with managers who had been sexually harassing employees for years. Second, recall the research Navex published last fall, finding that companies with more internal reporting also tend to achieve better business outcomes: fewer lawsuits, lower legal settlements, higher productivity. That’s not surprising, when you think about it. Rates of internal reporting are really just a measure of how willing employees are to raise and discuss problems. The more willing you are to discuss problems, the more likely the company is to solve problems — and that’s what gets you to higher business performance. Employees and managers who trust each other perform better. Case closure times fell, from 44 days in 2017 to 40 days last year, the lowest case closure time since 2014. That was mostly driven by speedier resolution of HR, diversity, and workforce respect complaints, which are the lion’s share of all complaints a company receives. Harassment and discrimination complaints are growing swiftly. They still account for a small fraction of all complaints (5.5 and 4 percent, respectively), but in relative terms, those categories are surging year-over-year. That said, the overall mix of complaints didn’t change much last year. HR and workplace issues are still the vast majority of complaints (70 percent), followed by business integrity (16 percent), and then other categories at 5 percent or lower. Those numbers haven’t moved more than 1 or 2 percentage points either way for years. Retaliation complaints are small but growing, too. As a percentage of all complaints, retaliation has always been tiny; it accounted for only 1.2 percent of total complaints in 2018. But that number stood at 0.93 percent in 2016 — so retaliation complaints today are 27 percent larger than they were just two years prior. OK, back to bulking up your internal reporting program, to capture all data about those in-person reports and put the information to good use. What would that actually entail? Second, consider how to use the anonymous whistleblower hotline as a supporting tool for internal reporting, while in-person reports are the primary tool. My favorite example of this is Texas Health Resources, where all managers are required to alert HR and compliance when they receive reports of harassment. If employees use the hotline instead — perhaps to say, “my manager has ignored my report” or “I don’t feel comfortable talking to my manager” — that’s a point of data for HR and compliance, and managers know this. So they have strong incentive to encourage a speak-up culture and take issues seriously. One last point to ponder: Navex also found that reports submitted via ‘Other’ channels had much higher substantiation rates — 59 percent, compared to 42 percent substantiation rates overall and only 34 percent for reports filed via the hotline. That makes sense. Managers are more likely to take a complaint seriously when it’s brought to their attention by living employee in front of them. A whistleblower complaint can be important too, but it still becomes a casefile number at the bottom of a list of other casefile numbers. So the more a company can encourage in-person reporting, and the more compliance officers can capture data about those reports, the better. It moves you beyond more regulatory requirements, to a means for improving ethical culture — and all the attendant business benefits that come with that.